Three years ago, Natalie Gerber’s friends ran while she was treated for cancer. This year, she’s strong enough to do the run herself. Three years ago, Natalie Gerber was undergoing treatment for breast cancer, while her friends and family were running a 5K race in her honor. This year the 30-year-old mother of three will be running the race herself as a testament to her recovery and in gratitude to those who helped her. The annual Cheryl Diamond NYC 5K Schlep: Breast and Ovarian Cancer Annual Run/Walk raises money for Rabin Medical Center’s breast cancer screening and prevention program. In 2011, a cousin of Gerber organized “Team Natalie,” which $36,000 for the Israeli hospital. This year, the team will be smaller, just Gerber, her husband, a friend and the couple’s three children, riding along in strollers. But it will also be “much more private, personal,” Gerber said in a telephone interview with The Jewish Week from her L.A. home. For Gerber, participating in the run will show that she’s now healthy enough to finish the 3.1-mile course. “This is a milestone,” she said. Rabbi Joshua Eli Plaut, executive director of American Friends of Rabin Medical Center, the event’s organizer, said he expects nearly 500 participants and about $250,000 in donations next week — double the totals from last year. “This is taking off,” said Rabbi Plaut, who worked as a Hillel director and a pulpit rabbi before joining the fundraising arm of the Rabin Medical Center 11 years ago. 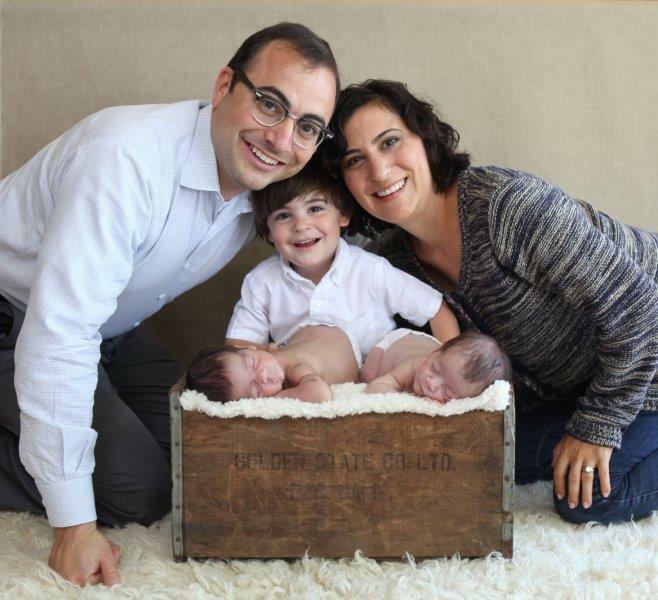 He started the event in 2011 in honor of his late mother, Hadassah, who had survived two diagnoses of breast cancer. And he gave the event its “schlep” name. The event draws a large number of non-Jewish participants each year, Rabbi Plaut says, but the name isn’t a problem. “We’re in New York. Everyone knows the Yiddishisms,” he said. The race is named for the late Cheryl Diamond, who died of breast cancer in 2001. Her husband Warren, a New Jersey businessman and philanthropist, is a major supporter of the event. Other sponsors include El Al Airlines, JCP Downtown, Shleppers Moving and Storage and Sharsheret, which provides support for Jewish women facing breast cancer. The Cheryl Diamond NYC 5K Schlep will be held June 22 at 9 a.m. in Robert F. Wagner Jr. Park in Battery Park City. There is a registration fee, $18 for children, $36 for adults; entry is free for people with cancer or who are undergoing treatment. For information: (212) 279-2522; afrmc.kintera.org/schlep2014; ilana@afrmc.org.